Freestyle means improvised or unrestricted. A freestyle project in Jenkins is a project that spans multiple operations. It can be a build, a script run, or even a pipeline. 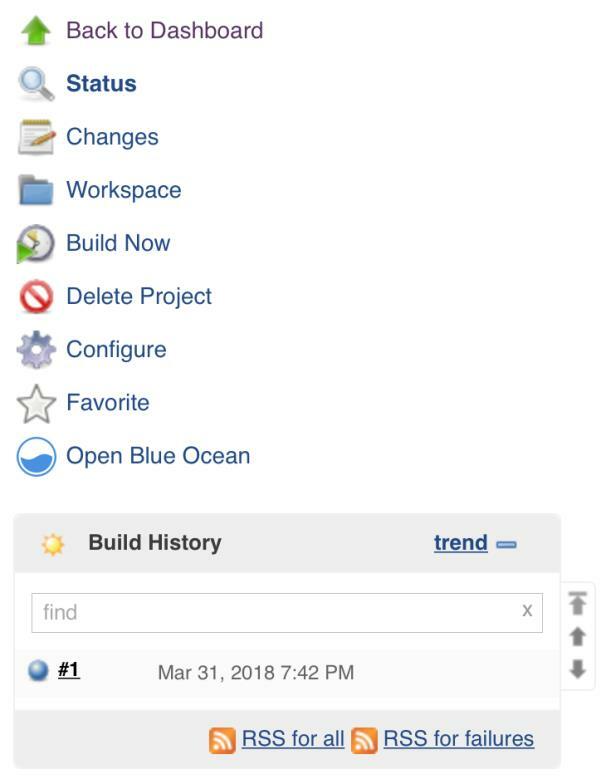 According to the official Jenkins wiki, a freestyle project is a typical build job or task. This could be as simple as running tests, building or packaging an application, sending a report, or even running some commands. Before any tests are run, data is collated. This can also be done by Jenkins. Jenkins collects data through multiple ways depending on what is being achieved and the purpose of the data in question. A real-world scenario could involve, for instance, the collection of application artifacts after builds. In relation to management, Jenkins allows us to send reports at any defined stage, which could entail artifact information, or shipping application logs to a log management entity, such as Elasticsearch. 1. Open the main dashboard to create a project using the New Item option on the left navigation menu. 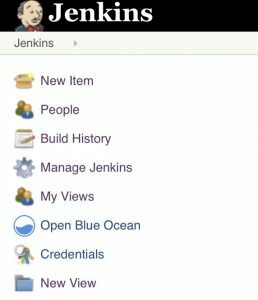 The view above presents the various job types Jenkins supports. This article will solely focus on Freestyle projects, but you will, however, look into more jobs and items as we progress. 2. 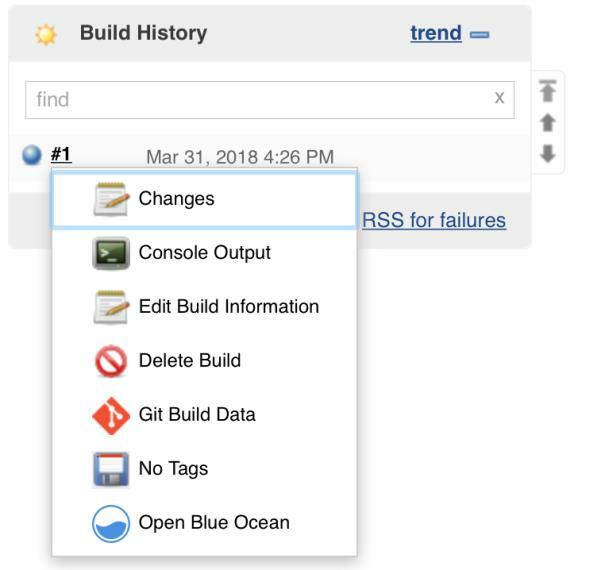 Enter the name as jenkins-python-run and select Freestyle project as highlighted in the following screenshot, and then select OK.
You’ll take a look at all the content step by step. For now, let’s understand what the Source Code Management resource does. This checks out code from version control hosts. This means that if your code is hosted on GitHub or any other web-based repositories, you can add the repository details and Jenkins will clone it. Feel free to use the quick tips displayed in the blue question mark icons, as they can be very resourceful and provide more clarification. 3. 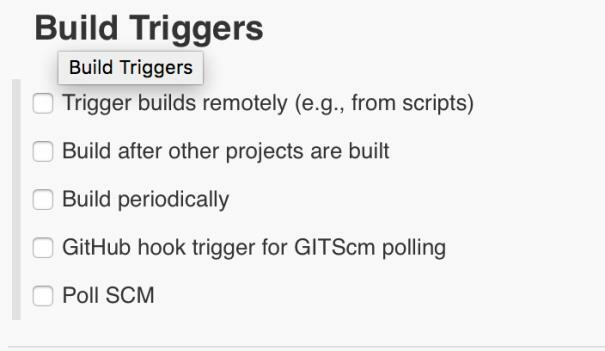 Select Git and the following menu should drop down. This entails the information needed to clone a Git repository. 4. Let’s get the repository we are going to build from GitHub. 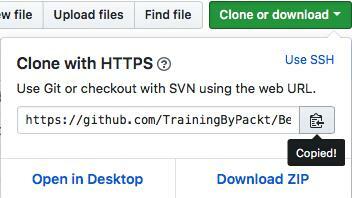 From your browser, head to the followingaddress https://github.com/TrainingByPackt/Beginning-Jenkins. This is the link Jenkins will use to clone the repository in order to run our tests. 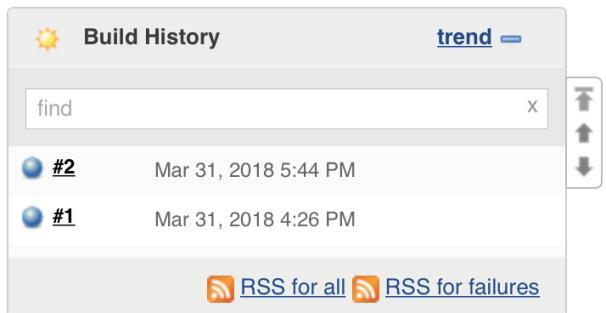 When changes are pushed to GitHub, Jenkins should automatically run tests and build applications instead of developers triggering manual builds each time. More of this will be covered in the next section. Do you want to run a script? Do you want to run a command? 2. Select Build Now on the left navigation menu to run the build. We haven’t run any code or tests, so let’s go ahead and complete our build by adding this. 4. Select Back to Project and then Configure, on the left navigation menu, which should take us back to the project configuration page. 5. Under Build, select Add build step. This will enable us to add a step for Jenkins to run our tests. To achieve the same result, we will need to tell Jenkins to run the script, as we saw on the preceding terminal. This can be achieved by selecting Execute shell from the Add build step drop-down. 6. Select Execute shell and the following window should pop up. 8. Select Apply, then Save. This will take you back to the project window. 9. On the left navigation menu, select Build Now to build the project. 1. Jenkins will first pull the code from GitHub after we add the repository details. 2. 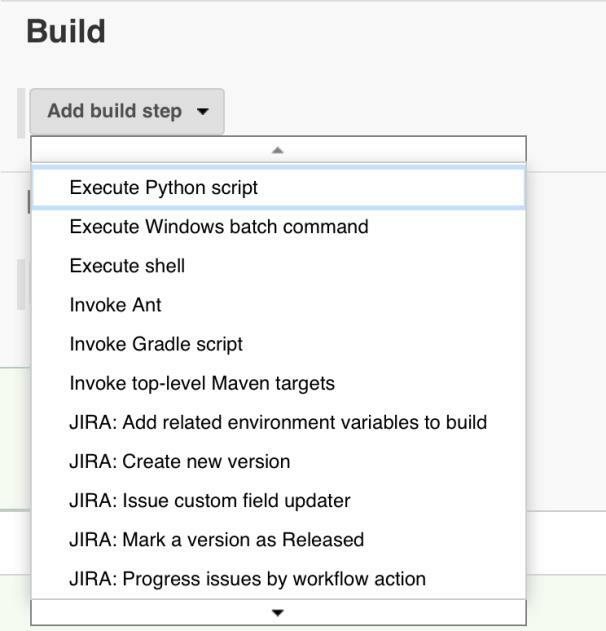 Through the build step, Jenkins will run the Python script. 3. The logs on the console output tell us whether our build has failed or passed. As you progress, you’ll get to understand how to set up more complex builds that can be triggered automatically and even send notifications. Back on the main dashboard, notice how Jenkins has updated to factor in our build. You can now easily view and access our build(s), and on the left navigation menu, you can also view any build that is queued. 1. The script name is sample.py and the response should be Hello World. 2. Access the repository from https://github.com/TrainingByPackt/Beginning-Jenkins/tree/master/Lesson3. Ensure that everyone has Jenkins up and running, and is authenticated as the admin. 2. On the Dashboard, select the New Item option on the configuration panel. 3. Name the project as shown in the screenshot. 5. Under Build, add the command to run the script. 6. Click Apply and Save. 7. On the left navigation menu, select the Build Now option, and the script should run. 8. Open the build console and observe the logs. The message Hello World! should be outputted on the console. 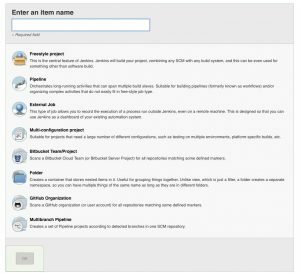 If you found this article interesting and want to learn more about Jenkins, you can explore Joseph Muli’s Jenkins Fundamentals. Thoroughly explaining the technology in an easy-to-understand language while perfectly balancing theory with hands-on exercises, Jenkins Fundamentals enables you to accelerate deliverables, manage builds, and automate pipelines with Jenkins.